Globe SP10 is a gear-driven, high torque transmission with heat treated and hardened steel gears and shafts easily mixes all types of products and improves reliability. The mixer’s rigid cast iron body ensures years of mixer durability. 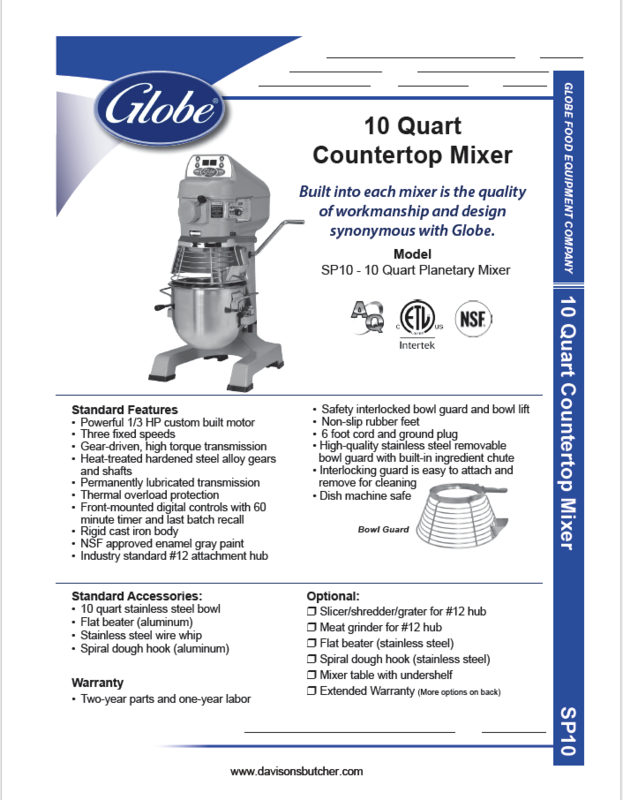 This mixer comes complete with an 10 quart stainless steel bowl, flat beater, wire whip, and spiral dough hook.